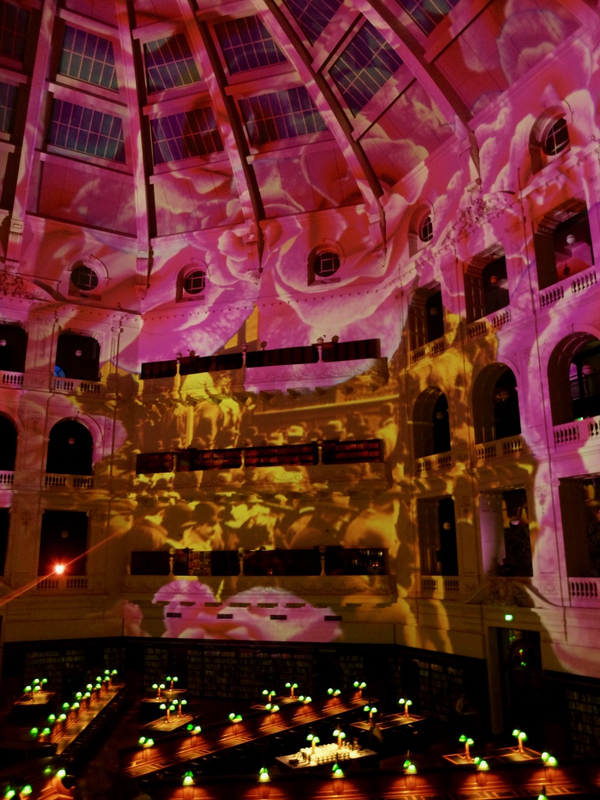 Collaboration with PROJECTIONTEKNIK. 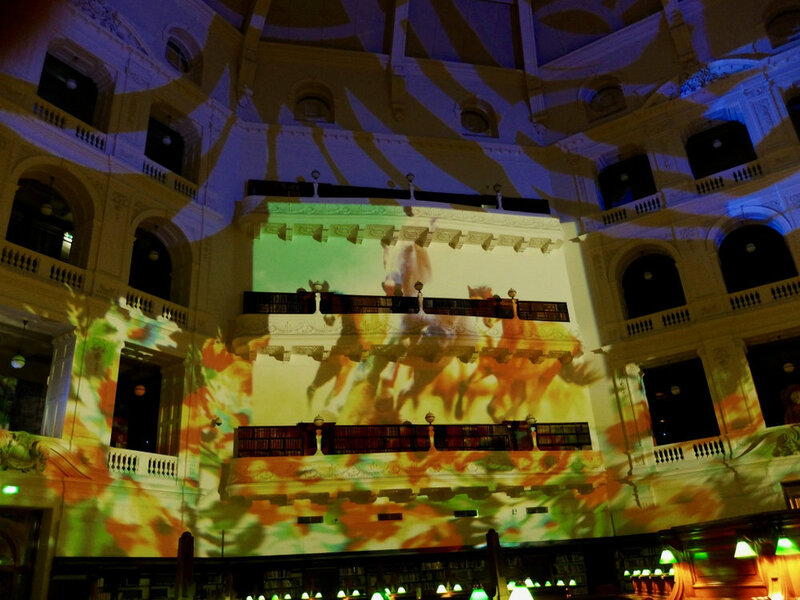 Commission of large-scale projection and audio installation for a fundraising event in the La Trobe Reading Room of the State Library of Victoria, 10th March 2016. Multi-channel (quadro + LFE) audio designed to rotate around 4 speaker pairs installed in the balcony, plus 2 speaker pairs and 2 sub-woofers in the central podium. 5.1 spatial panning and dynamic effects create the illusion of horse races moving counter-clockwise around the dome. Spatially located scenes and sounds mix in the room with surround music and atmosphere. Speaker installation by MAV. The audio was designed to work in rhythmically with the rotating slide visuals, using multi-layered samples and archival recordings of horse, horse race, and stable sounds, and music, including bookmakers, tic tac men, and punters, 1947 England (Pathé); Race call Agua Calientes, PharLap; Race call Melbourne Cup 2011 Dunedin and Red Cadeaux photo-finish; Race call Melbourne Cup 1963 Gatum Gatum win and 1930 PharLap; Randwick, Birdsville and Monto races. Music samples by cellist Mary Lindsay.